Are you searching for a shipping company who can handle your shipment to the Pacific Ocean? USG team can help with the process! we offer full container load, LCL and even Air Freight to all the islands and countries in that area. Need a shipping rate to Fiji? Are you shipping a container or less than container load to Suva in Fiji and have some questions? You are at the right place with USG! Fiji is known for its picturesque geography, luxurious resorts, gastronomy, and a multiple of outdoor activities. Fiji has a unique culture that is friendly and inviting to tourists. It also has one of the most established economies in the Pacific, depending mainly on tourism and sugar production. Fiji’s white sand beaches and clear ocean waters are the ideal vacation place for scuba divers, honeymooners, and families. Aside from the greatest relaxation destination, Fiji offers convenient shipping solutions to the port of Suva. Shipping to Suva, Fiji: Port of Suva on the southeastern part of Fiji’s main island. Suva offers excellent port infrastructure with state-of-the-art harbor cranes and strategic equipment planning to maximize productivity. US General Shipping is proud to bring you shipping services to the commercial center of Fiji. If you are searching for a reliable company offering shipping service to Samoa please contact USG! We ship container, truck other cargo to Samoa made up of nine islands in the South Pacific Ocean. It is widely recognized for its breath-taking landscapes and welcoming people. Many of the people who now live in Samoa are native to the island and their ancestors arrived by boat thousands of years ago. Today, nearly as 188,000 people live in Samoa. 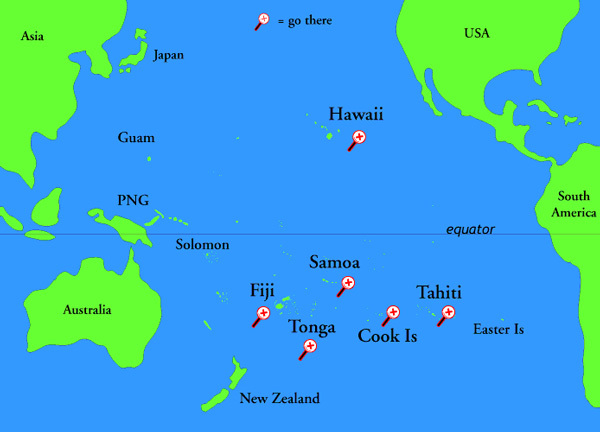 Samoa makes up about 1,093 square miles of land. English and Samoan are the languages spoken in Samoa.US General Shipping offer you Door to Port services for either 20' ST or 40' ST/HC to the port of Apia. The port of Apia is a small port in the northern part of the South Pacific island nation of Samoa. US General Shipping conveniently offers shipping services for all types of cargo and commercial items from the USA to Apia. Port Moresby is the capital and main port of entry of the island where smaller cargo ships are entering the island. We offer a weekly container and consolidation service from USA West Coast to Papua New Guinea. If you need a rate for shipping to Papua New Guinea please send us a quote request filling out the form. Looking for a shipping company offering service to the beautiful island of Tonga in the Pacific Ocean? Tonga is a Polynesian country and beautiful island in the Pacific ocean. Port of Nukualofa is the port of entry but keep in mind only smaller vessel can go to Tonga. There are a container and consolidation service from the US to the beautiful island of Tonga in the Pacific. 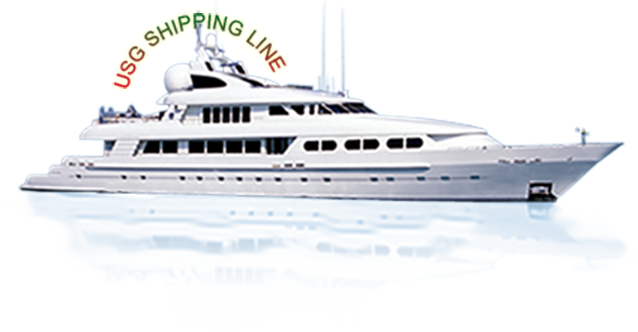 Whenever you like to have a rate for shipping to Tahiti you should contact USG Pacific team. Tahiti is an island and part French Polynesian group with a population less than 200,000. There are a container and consolation service to Tahiti from USA West Coast. Papeete is the port of entry and place where all the import and exports are getting handled.